I’m a wee bit enthused about this one. 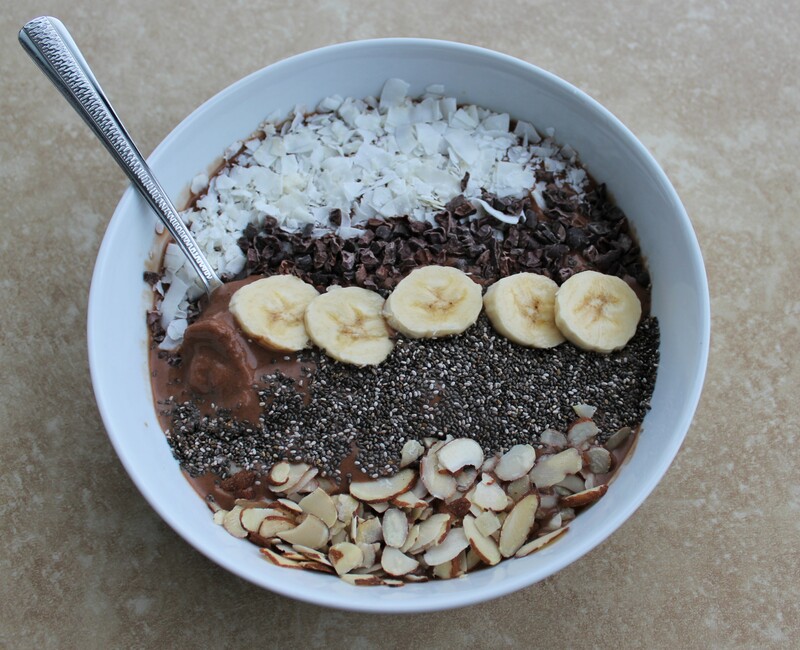 This Chocolate Coconut Banana Smoothie Bowl recipe contains unsweetened raw cacao powder AND cacao nibs (think a more natural version of baking chips). Unsweetened raw cacao is LIIIIIFE, in my book. I’m obsessed with it! I buy the powder in bulk on Amazon; I ordered one pound at a time until last year, when I then discovered the five-pound bags from the great folks at Healthworks (holla, Healthworks!). Why do I love unsweetened raw cacao so? Namely, it’s the fact that it makes eating chocolate for breakfast socially appropriate. Cacao powder – think of it as cocoa powder in a more pure, minimally processed form – is packed with vitamins and minerals and antioxidants and plain ol’ goodness (iron, magnesium, B-vitamins, protein, fiber, to name a few) at a magnitude that more highly processed, cooked chocolate isn’t. It’s heart-healthy, being said to help reduce blood pressure and improve circulation. And paired with some naturally sweet ripened bananas and almond milk, it produces delicious glorious goodness that is wholly processed-sugar-free! I’m all about reducing the processed sugar in my life. And bananas + nut milk = the glorious combo inspiring many a vegan shake, nice cream sundae, and smoothie bowl that’s set the internet ablaze. 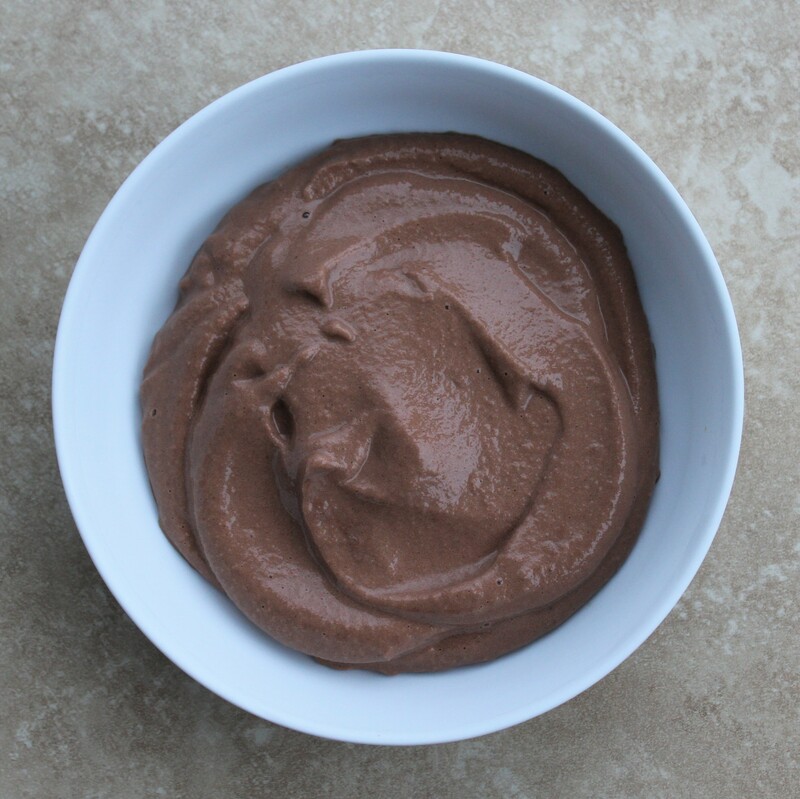 Chocolate-banana breakfast smoothies are a staple in my house, and I’ve created versions of nice cream and the boozy adult milkshake, but I’d never tried making a smoothie bowl prior to this foray. In answer to the first question: it’s possible to create a smoothie bowl that is not a big soupy mess, I’ve discovered, if you approach it strategically. To make the smoothie layer for a smoothie bowl, I realized I couldn’t use as much milk as I would in an actual pour-into-a-glass-smoothie. I used only a cup of milk with two large bananas; for an actual smoothie, I use more. Having less liquid in the blender makes the pulverizing of the frozen bananas a more tedious process, but it’s worth it to achieve the thick ice-cream-like consistency. Secondly, I found that keeping a bowl overnight in the freezer for using to serve this recipe aided in prolonging the melting tremendously. Third, having all of my toppings out ready to sprinkle on the smoothie base as soon as it was blended further prevented melting during preparation. Another helpful tip: I’ve found that peeling the skin from the bananas and breaking the fruit of each into several pieces before freezing them makes them easier to deal with come blending time. I freeze my bananas in sets of two, wrapped in tin foil, so I only need to grab one package for each smoothie bowl I make. I’ve discovered that in order to freeze solid and produce the optimal frosty consistency, bananas need at least 24 hours in the freezer. I’ve also learned that when my blender is having a hard time breaking up the bananas, pausing it periodically and using a spoon to push the bananas down toward the blade before resuming blending helps. In response to my second question, “Could I ever get one of those to look as pretty as they do in those pictures?” the answer was a pleasantly surprising affirmative. Shaved unsweetened coconut, raw cacao nibs, diced banana, sliced almonds, and chia seeds poured on top of my smoothie bowl made a pretty, Instagram-worthy design with minimal effort. The key was a steady hand and adding the diced banana slices at the end to prevent them from sinking down into the smoothie layer before I could photograph it. OK, on to the recipe and happy mornings for all of our bellies! Optional, but helpful: the night prior to making the smoothie, put the bowl you’ll be serving it in into your freezer. 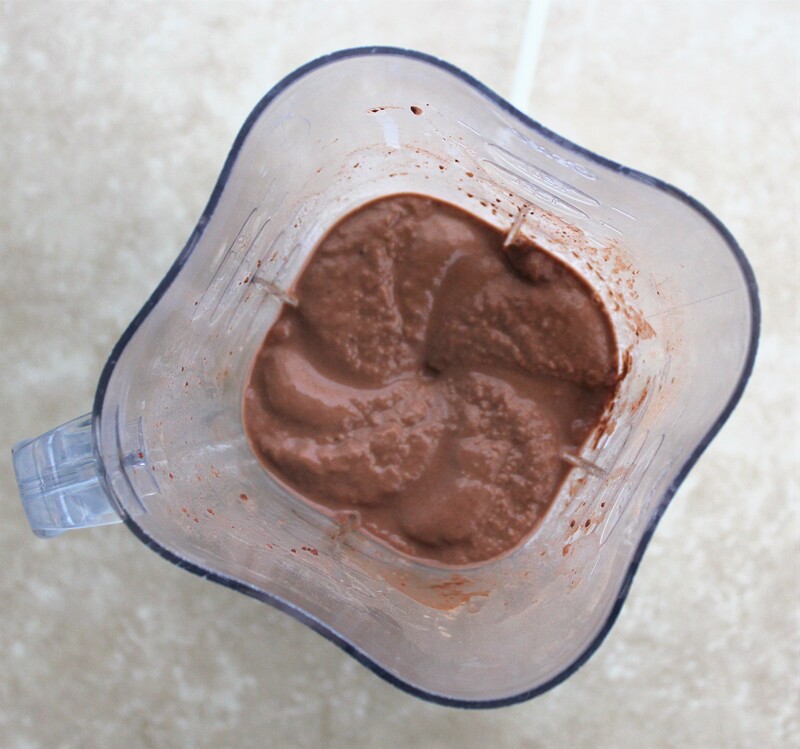 Add the frozen bananas, cacao, and milk to a blender and puree to a smooth consistency. 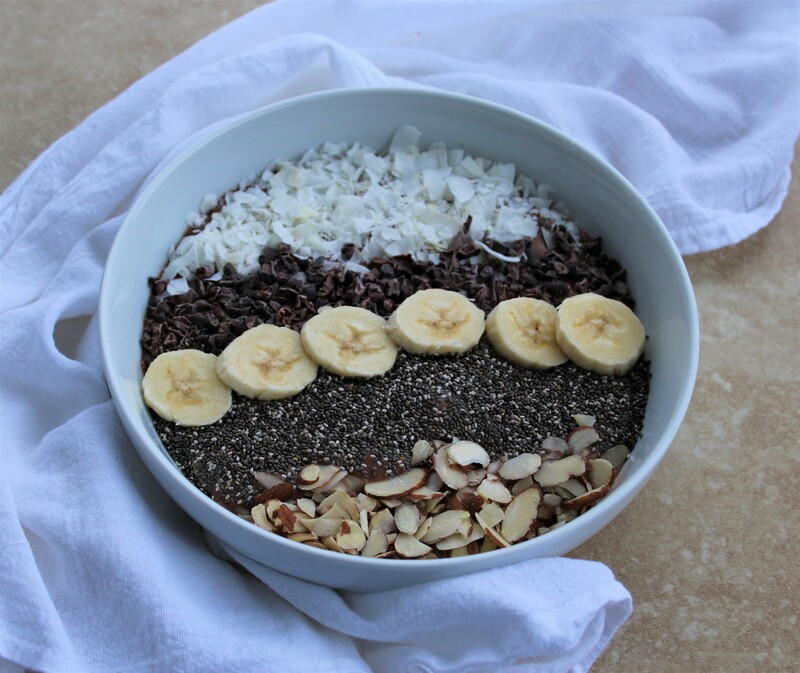 Remove the bowl from the freezer, spoon in the smoothie, and top with the coconut, cacao nibs, chia seeds, almonds, and fresh banana slices in any design pattern you’d like. Makes one serving.